The news that the DA’s Office of Philadelphia is no longer seeking the death penalty for Mumia is no news to supporters of the nearly 30 year Pennsylvania Death Row prisoner. However, because Mumia has for thirty years been subjected to torture on death row and because he is innocent, justice for Mumia will not be served by life imprisonment, but by his release from prison. Mumia’s case is like thousands of other cases in Philadelphia in which the prosecutor, the judge, and the police conspired to obtain a conviction. One of the most important and least known facts of this case is the existence of a fourth person at the crime scene, Kenneth Freeman. Within hours of the shooting, a driver’s license application found in Officer Faulkner’s shirt pocket led the police to Freeman, who was identified as the shooter in a line-up. Yet Freeman’s presence at the scene was concealed, first by Inspector Alfonso Giordano and later, at trial, by Prosecutor Joe McGill. Recently, the U.S. Department of Justice asserted that withholding evidence of innocence by the prosecutor warrants the overturning of a conviction. 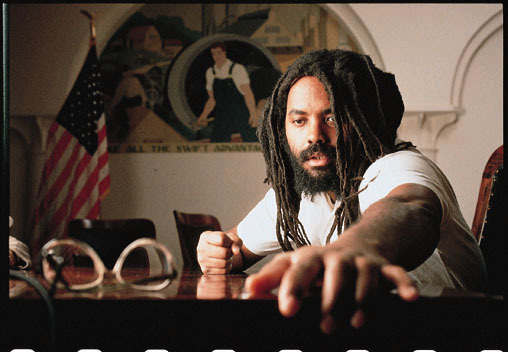 The police investigation that led to Mumia’s conviction was also riddled with corruption and tampering with evidence. The recently discovered Polokoff photographs that were taken at the crime scene, reveal that officer James Forbes, who testified in court that he had properly handled the guns allegedly retrieved at the crime scene, appears holding the guns with his bare hands. The photos also discredit cabdriver Robert Chobert as a witness; his taxi, contrary to his testimony, is pictured facing away from the fallen officer’s car. This evidence hasn’t been reviewed by any court. Our call to Seth Williams is that he honor DA Lynn Abraham’s 1995 promise to the city of Philadelphia that she would discard any cases where evidence surfaces that even one of the officers involved in an investigation lied in court or in written reports. The D.A. may think that the case can be laid to rest by sending Mumia off to life in prison. But an aroused public, with the Supreme Court ruling the death sentence to be unconstitutional, is ready to challenge anew the entire trial. The same judge, jury, and DA that were involved in the unlawful sentencing process committed equally egregious violations in the conviction. This is not an ending, it is a new beginning for the movement supporting Abu-Jamal’s quest for release. The December 9 forum at the National Constitutional Center, featuring Prof. Cornel West, will be preceded by an 11:30 a.m. Press Conference, at the American Friends Service Committee building, 1501 Cherry Street. Then the following day there will be a full-day of organizing and fundraising activities, Saturday December 10, at the Germantown Event Center, 5245 Germantown Avenue, beginning at 12 Noon.